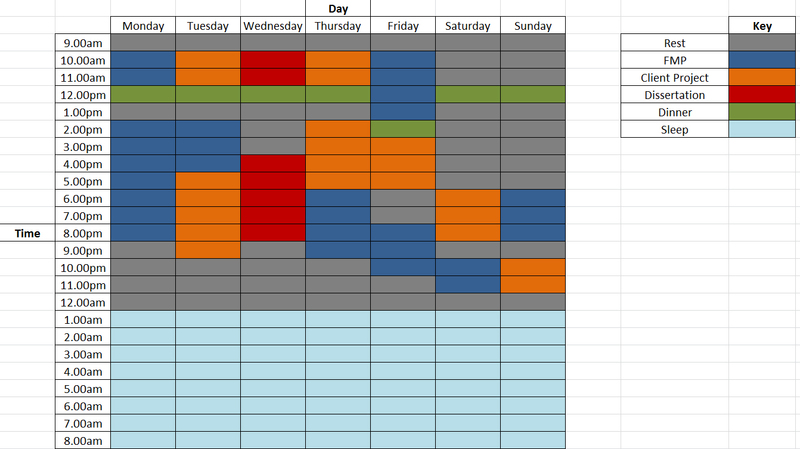 This is a timetable I will be using to organise my time appropriately, this is the minimum work hours I hope to complete each week. This may vary as time progresses. ← Year 3 Gantt Chart.